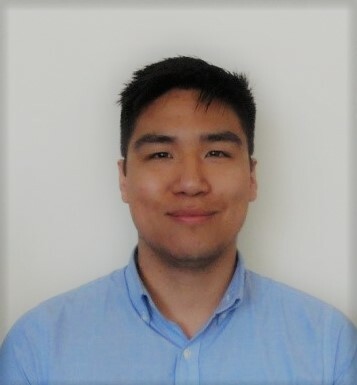 Alessendro Lee is currently pursuing a Master of Arts in International Affairs at Johns Hopkins University School of Advanced International Studies, concentrating in International Development and specializing in Infrastructure Finance. Prior to pursuing his graduate degree, he served refugees and asylees at the International Rescue Committee, taught English at the Center for Youth Culture in Vietnam, and completed a Bachelor of Arts in Sociology at the University of Mary Washington. Q: What drove you to pursue a graduate degree? Was there a pivotal moment in your life that carried you forward on this track? A: As I contemplated pursuing a graduate degree, I was unsure of what degree would be best for me. I knew I was interested in infrastructure, but I considered a master’s in social work or public administration because it felt more aligned with my experience. Ultimately, I was inspired by my host brother who I met when I was in the Peace Corps in Ethiopia. He is a civil engineer, specializing in roads and asphalt. He witnessed the developmental impact of new roads being built in his country and pursued a career he had not had experience in before. He convinced me to pursue something even if it is an unfamiliar track, especially if I believe in its importance. Q: How and why did you choose Johns Hopkins SAIS to pursue a graduate degree? A: I went into the application process knowing that I was going to pursue International Development, so I targeted schools that are well-known for such programing. Location was the most important factor to me and I wanted to be in Washington, D.C. so that narrowed my search. I applied to four schools in D.C. and with finances as a consideration, I chose SAIS who offered the best financial assistance. A: I had been out of the education sphere for some time when I decided to pursue my master’s degree and I was shy about reaching out to my undergraduate professors. I worried that they may not remember me. Graduate school applications depend on recommendation letters, so I went out on a limb knowing that it was necessary. I explained the situation, and everyone was very willing. You shouldn’t discount yourself from opportunities for such reasons. People are willing to help you. A: Graduate school has exposed me to sub-disciplines in International Affairs that I had never thought about previously. I am particularly fascinated by courses on political economy as well as energy and resources. At this point, I wish I could pursue another master’s degree! I’m enjoying the interdisciplinary nature of this study and the various perspectives that my colleagues bring. A: Find the confidence to be a leader in your community. Once you’re here, you will meet a lot of people who are in the “only” category–the only representatives from their countries and communities. These people will be tomorrow’s leaders. For me, my academic interests are directly linked to my identity. I am Vietnamese-Mexican. Central Vietnam, second to the Philippines, suffers the most in that region from natural disaster destruction. I hope to be a part of the work that strengthens the infrastructure development of Vietnam. Furthermore, I hope to evaluate the cultural, social and political conditions in Mexico more in depth and utilize my skills and experience to build cultural centers for ethnic minorities in Mexico. If your ethnicity is an important aspect of your identity, I challenge you to play your part in leading your community.